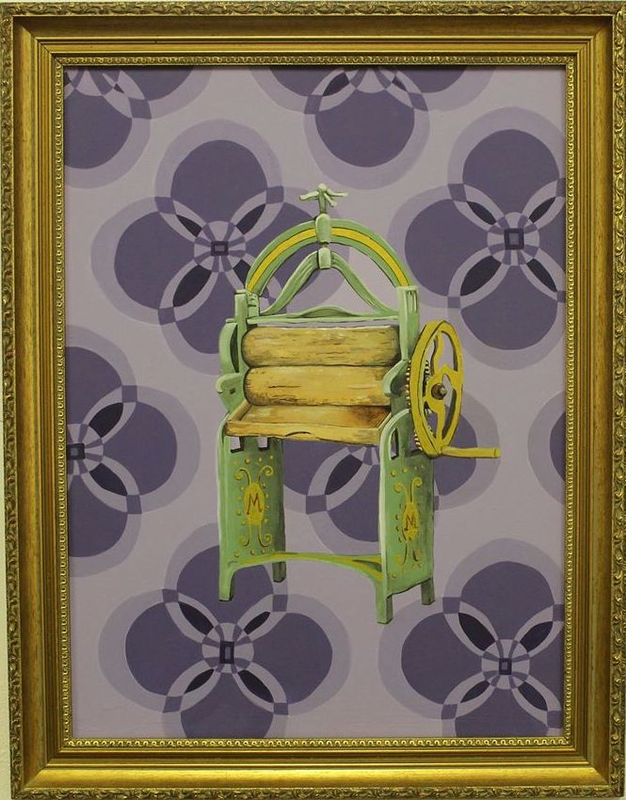 The current series of work deals with the fetishisation of vintage domestic appliances. We revel in a false nostalgia for the 'good old days' and glorify these old appliances whilst overlooking the fact that the women who used them had extremely hard lives. It also touches upon the ludicrously overblown claims made by the manufacturers of such appliances. The self-portraits explore the reduction of women to their perceived roles and the effect this can have on our sense of self and sense of worth.